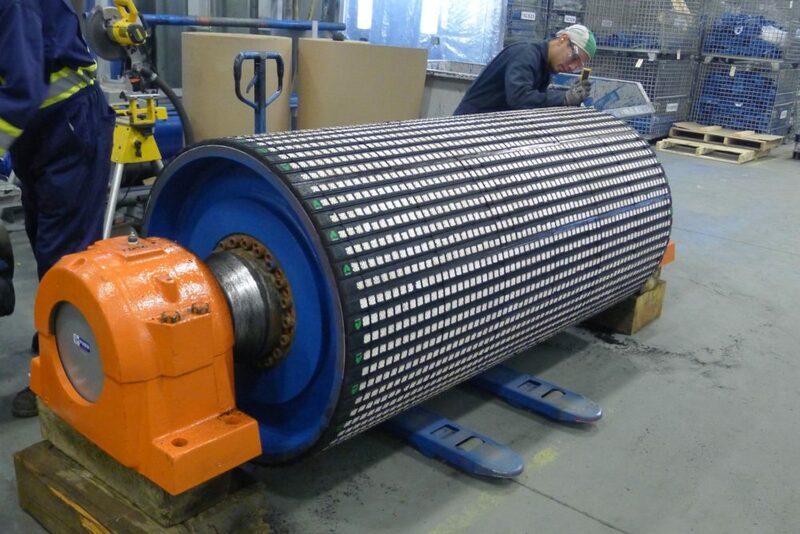 Luff Industries Ltd. has been manufacturing quality conveyor components, including idlers with patented polymer endcaps and pulleys with an industry-leading rim thickness, to an international market for over 40 years. 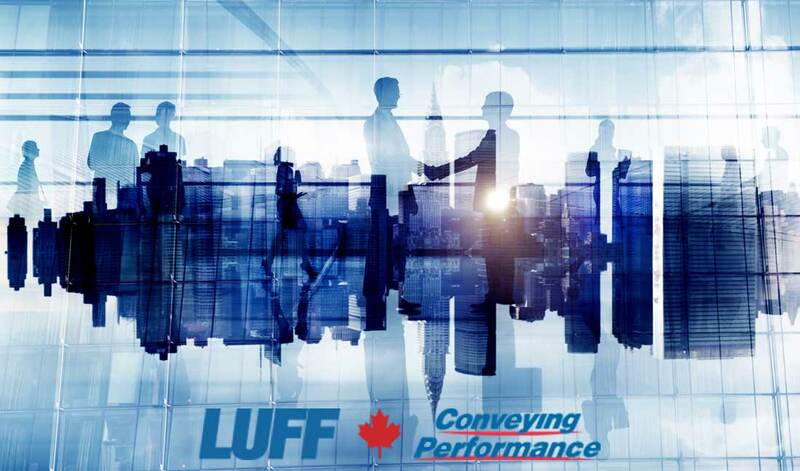 Luff provides fast delivery with an industry-leading manufacturing time of just 5 days, on non-stock standard product, minimizing down-time and reducing operating costs for companies around the world, and all Luff products come backed with a full two-year warranty. Recognized for innovative products, quick turn-around times and industry-leading warranty Luff manufactures one of the most complete product lines available. Contact us today and Increase your Conveying Performance! The Solution to Bearing Contamination and Costly Idler Maintenance. All our CEMA B, CEMA C, and CEMA D idlers feature a bearing surrounded by our patented high-strength polymer endcap. 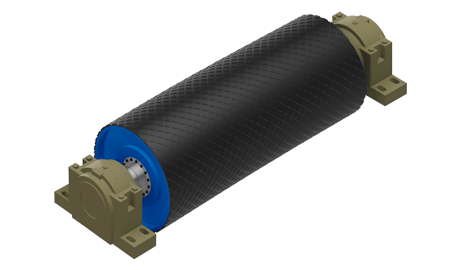 Our design ensures our innovative and maintenance-free idlers are lightweight, resist corrosion, and have sealing options to maximize idler life. Luff Pulleys Can be Found in Applications Around the World. Our industry-leading pulleys are found in applications around the world. 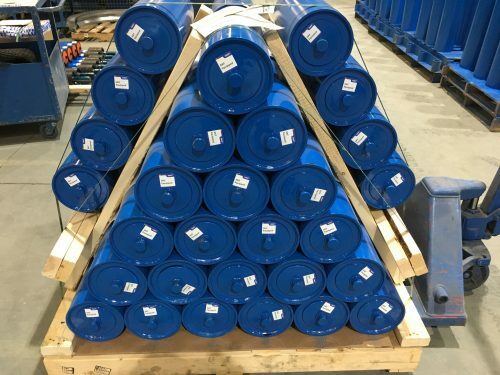 Made from heavy schedule pipe, our pulleys offer several advantages compared to the industry standard, including a pulley shell capable of absorbing more stress, superior tracking capabilities, and concentricity providing maximum contact with the belt. Constructed for strength and durability for medium to heavy-duty applications. 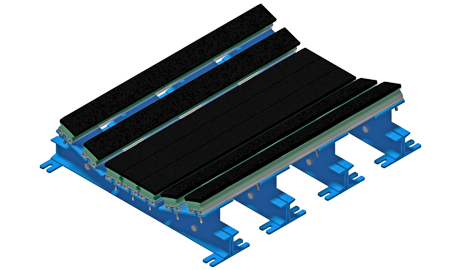 Our impact bed design allows for fast and efficient removal of impact bars, decreasing downtime and maintenance costs in the loading zone. The impact bars are made of a high performance urethane material, specifically formulated and engineering to absorb and disperse the force of impact. 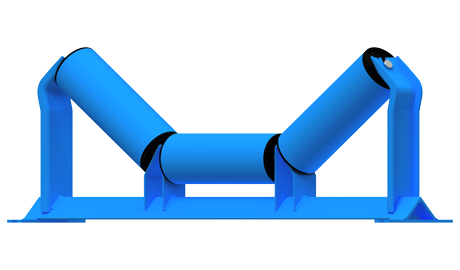 Increase your conveying performance with reliable, high quality conveyor system accessories. 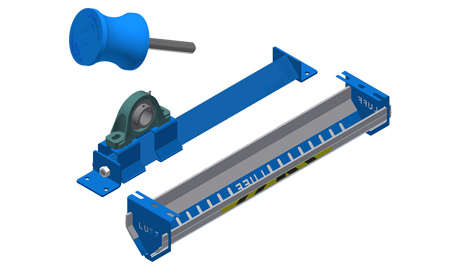 Luff offers a complete line of conveyor system accessories to help improve the performance of your conveyor by decreasing maintenance and downtime costs and increasing the life of your entire system. Aggregate, Belt wall systems, Construction, Energy sector including oil and gas, Forestry, Gypsum (wall board), Mining, Original Equipment Manufacturers (OEM), Power generation, Recycling, Ship loading, and MORE!